As you know…we recently did a major lawn upgrade (you can read about it here), and of course a future post will show off the lawn progress (including the sod saga). 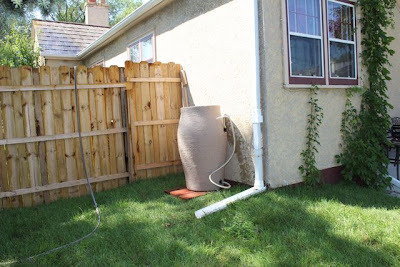 In addition, to building up the landscaping…we also decided to save on our water bill by installing rain barrels. 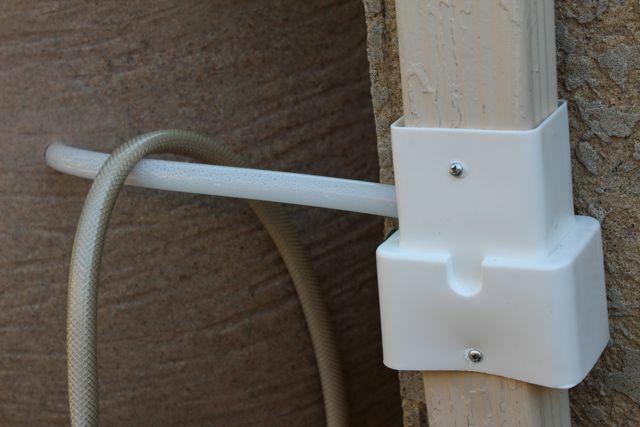 This project actually had another purpose—water in barrel equals less water running along the house decreasing the chances of our basement flooding! BRILLIANT—RIGHT? I first heard of rain barrels from my good friend, WOM-MOM follower, and eco-friendly enthusiast Melisa! She installed a rain barrel several years ago in our little city, ND town and it worked slick. 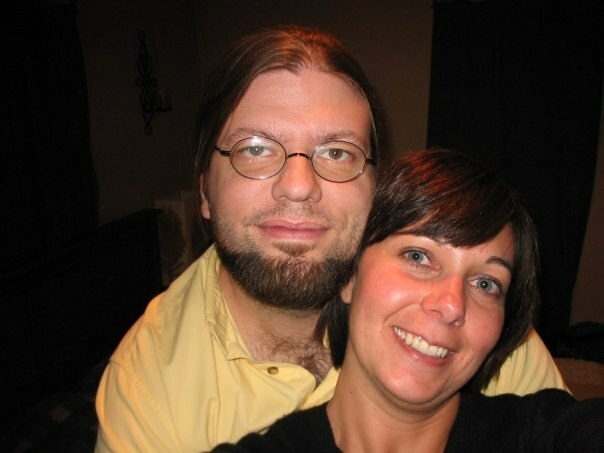 Melisa and her hubby Stu! They moved from my ND town! MISS THEM! Melisa of course found her rain barrel on free-cycle or some other web-service and paid little to nothing. I looked into several rain barrel options. 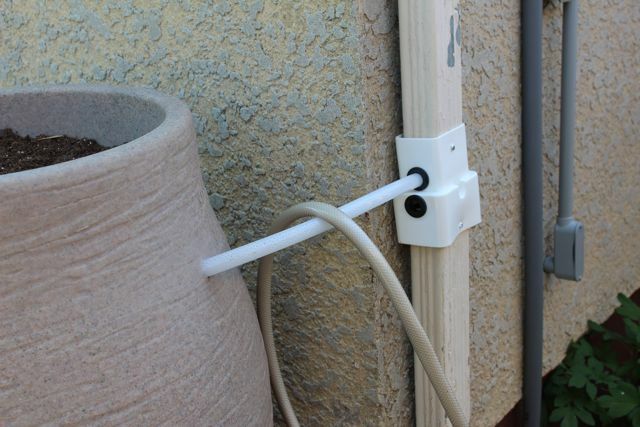 First, I looked into the option of building our rain barrels, which would have been MUCH MORE AFORDABLE! 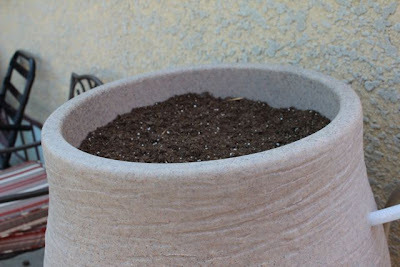 However, Steve searched the web and found “fancy” rain barrels that matched our stucco, served as planters, and would require little to no work to install! DECISION DONE! Roughly $80.00 later and we had a rain barrel. In the end we plan to install four total (and currently have two up) and they are working FABULOUS! Holding the rain and allowing us to water our plants for no cost! We feel this is a great investment. Yay for you guys! They look great. I wonder if the folks who bought our house kept the rain barrel? BTW, You should convince the city to offer an incentive program (with all your water issues it's a no brainer, IMHO). 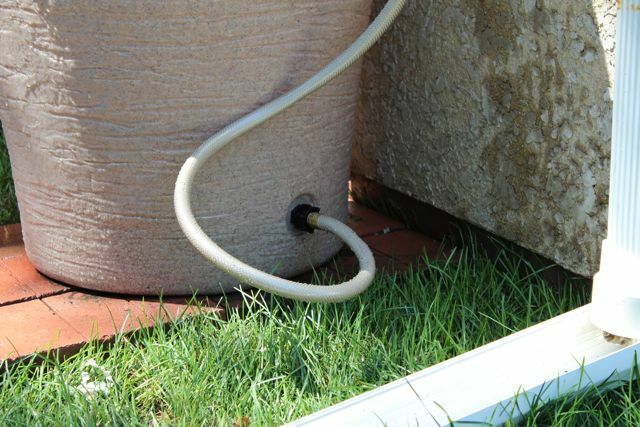 Our new city offers a $25 rebate for rain barrels purchased in the city limits. Sweet deal! We've been talking about putting in a rain barrel or two for a while now. I love that yours actually looks good too!